Have you ever considered taking a guided fishing trip? If not, you should. There are many benefits of going out on the water with someone who knows the area and fishes for a living. There’s an old adage, “Give a man a fish and you feed him for a day; teach a man to fish and you feed him for a lifetime”. This is exactly what you’ll get with a guided fishing tour. On a guided fishing tour you can focus on the fishing and leave everything else up to the guide. We’ll provide the ride from your accommodations, the boat, the gear, the spot and a good time. 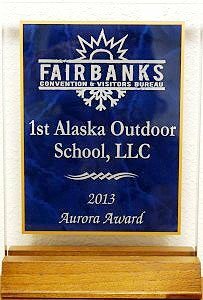 We’ll get started in the morning at 8am with a pickup where you’re staying in Fairbanks. From there we’ll head out to the water so we can get as much fishing in until 6pm. On these pristine waters of beautiful Alaska you’ll not only experience stunning views and breathtaking scenery but you’ll also enjoy some of the finest fishing in the country. Whether you’re an experienced angler, a beginner or a family looking to have a fun time and catch some fish we have the tour to meet your needs. You’ll have access to our fly rods or spinning rods and equipment which has been tried and tested to catch the best Northern Pike and Arctic Grayling. Make use of every moment on your vacation. Why spend the time researching the best spots, best times and figuring out which lures work best when your guide already knows? Call us today and book your guided fishing tour of a lifetime!